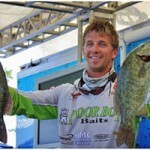 Chad Pipkens 2012 Bassmaster Northern Opens points champion, has picked up sponsorship deals with Damiki Fishing and HullSpeed Performance Marine Coatings. 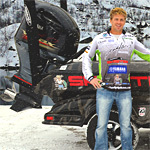 HullSpeed Performance Marine Coatings is proud to partner with 2012 Bassmaster Northern Opens points champion Chad Pipkens for the 2013 season. Troll Perfect manufacturer Perfect Outdoor Products announces that Bassmaster Elite Series Angler Chad Pipkens joins their 2013 Pro Staff.